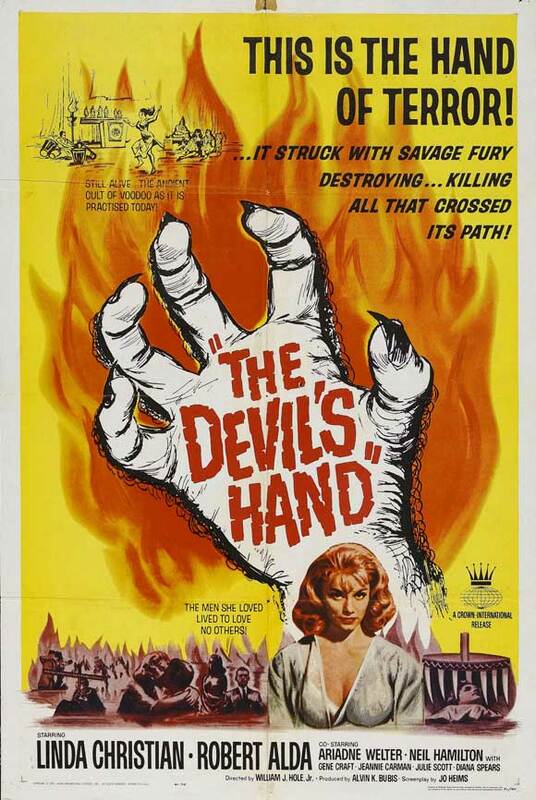 The Devil’s Hand is a 1959 (released 1961) American film directed by William J. Hole Jr. (Ghost of Dragstrip Hollow; U.S. footage for Face of Terror) from a screenplay by Jo Heims (Play Misty for Me; You’ll Like My Mother). It was produced by Rex Carlton (The Brain That Wouldn’t Die; Nightmare in Wax; Blood of Dracula’s Castle). The film stars Linda Christian, Robert Alda, Ariadne Welter (The Vampire; The Vampire’s Coffin; The Brainiac), Neil Hamilton, Jeanne Carmen (The Monster of Piedras Blancas; The Naked Monster), Bruno VeSota (The Undead; A Bucket of Blood; Attack of the Giant Leeches). 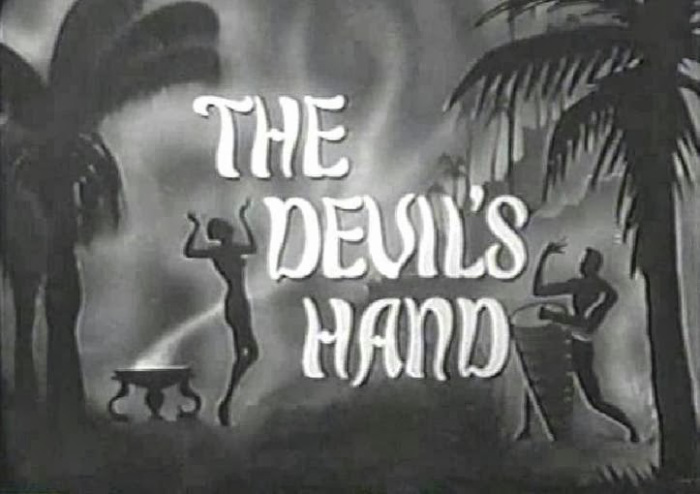 The film features a delightfully cheesy surf guitar-saxophone-piano theme by Baker Knight. In the U.S., the film was distributed by Crown International Pictures.